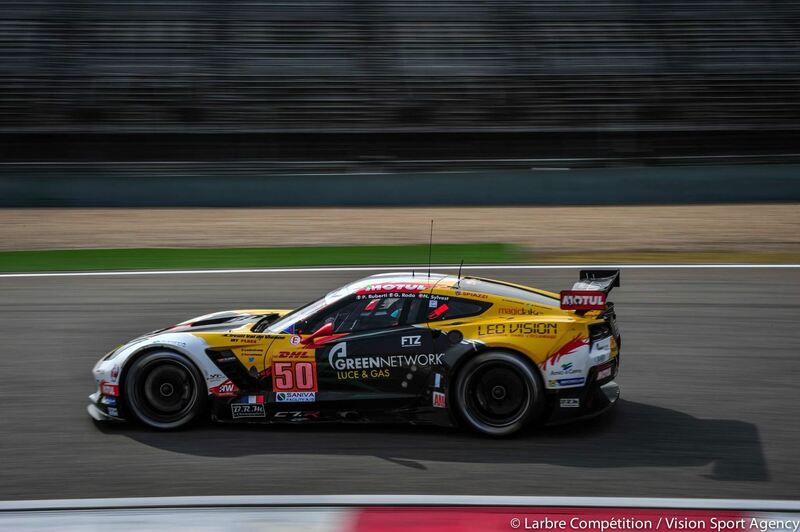 02/11/2015 - The 6 hours of Shanghai, penultimate round of the FIA WEC 2015, has had another podium chance voided for Paolo Ruberti and his co-equipers Gianluca Roda (ITA) and Nicolai Sylvest (DK). The driver from Verona confirmed to be among the quickest drivers in qualifying on Saturday as he set the LMGTE-Am fastest time, which contributed to secure the third average place of the session. 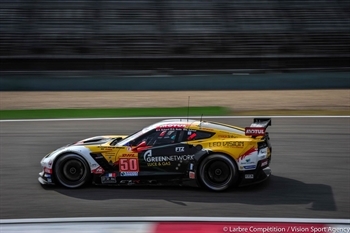 On Sunday, the race started on the wet and Ruberti did not hold himself over in the first stint and installed the number 50 Chevrolet Corvette C7 in second place. The further evolution of the weather shuffled the cards in the following hours and, due also to an unscheduled pit stop, the lineup ended fifth at the flag. "The result obtained in Shanghai does not fit much. In this occasion , as other times during this season, we missed out on a podium that seemed at reach. Rain did not help us: in qualifying and in the final hour when the circuit was dry we were the quickest and it is a shame not capitalizing that speed during the whole six hours". FIA WEC will resume next 21 November from Bahrain with the final round of the season.